Thousands of Austin Energy customers were without power Sunday evening after outages in the Bluff Springs area. 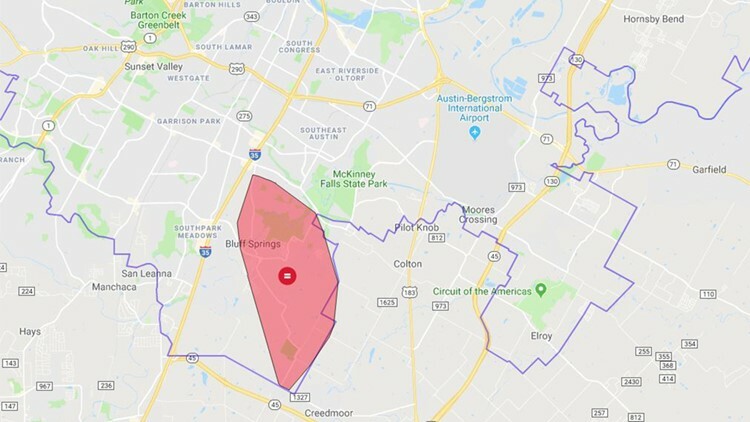 AUSTIN — An estimated 6,000 Austin Energy customers were left without power Sunday night after an outage in Southeast Austin. Austin Energy reported around 8:45 p.m. that crews were working an outage in the area around Bluff Springs. Officials said they believed power would be restored around 9:30 p.m.
By 9 p.m., about 1,161 customers remained affected. Before 10 p.m. only 22 still remained affected. Austin Energy said the outage was caused by a damaged underground cable. You can check the Austin Energy outage map for updates here.